Always make sure you have a balance of shapes - a statement wedge, a log and a full round, and a mix of textures. Consider colour, too. It’s good to have a blend of milk-white, gold, russet and blue hues. Accompaniments are an important part of any cheeseboard. Crusty bread or crackers provide a contrasting texture, while quince paste, fruity chutney or a fruit and nut press, offer a complementary sweetness that works perfectly. And, of course, nuts, fresh and dried fruit are a tried-and-tested combination with cheese. If you'd like to try any cheese from the service counter, just ask. These are the characteristics to look out for in different types of cheese. White mould cheeses: These can smell of mushrooms and hay, and the outside should taste of butter and mushrooms. Inside, young cheeses should have a sharp, salty tang, and older ones a stronger flavour. The older the cheese, the runnier it should be, but if is smells of ammonia, it's past its best. Blue cheeses: Blues should have a tangy aroma. The rind should be dry and rough, the inside creamy and straw-coloured. Blue cheeses cut and wrapped in plastic for too longer can become over-salty. Hard cheeses: These should taste buttery and sweet, fruity and mouth-wateringly tangy. The more mature, the stronger the flavour. Textures may vary from crumbly, like Cheshire, to firm and dense like Cheddar, and aromas from milky to strong. Our buyers and food technologists have close relationships with our producers developing long-term relationships that ensure we can trace right back to the milk used to make the cheese, and even the feed given to the cattle. Quality is the number one priority, and with the producer, our buyers agree quality standards to ensure consistency, optimum flavour profiles and maturity to bring out the best in the cheese. 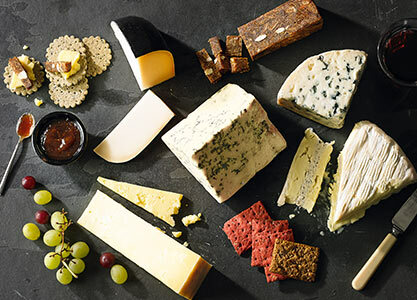 We have a wonderful selection of cheeses in our prepacked range, many of which are exclusive to Waitrose & Partners, such as the Garofola Buffalo Mozzarella and Colston Bassett Stilton. We work closely with small artisan producers to bring you the very best selection of cheeses in terms of flavour and quality. Why not try Moody's Rosary Ash Goats' Cheese, which is handmade by Chris and Clare Moody on their farm and named after the family home, The Rosary. Sparkenhoe Red Leicester is made on a farm in Upton, near Market Bosworth, using unpasteurised milk from Holstein Friesian cows, and matured in cloth for at least six months. 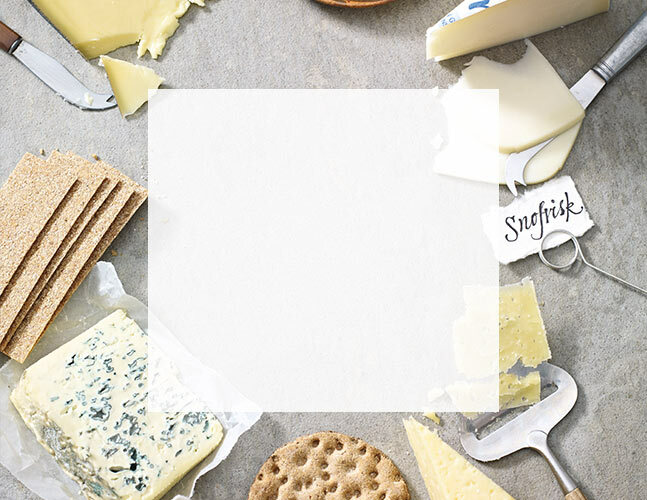 Most of our branches have a dedicated cheese specialist who can help you put together the most amazing cheeseboard! At Waitrose & Partners we are confident that our milk and cream really is the best of British.